We’ve been back in Canada for over a month and I just realized we did not post a blog about our 3 months on the Big Island of Hawaii. We made a vlog about the experience so I remember talking about what happened in our time here but that never got translated to the page. 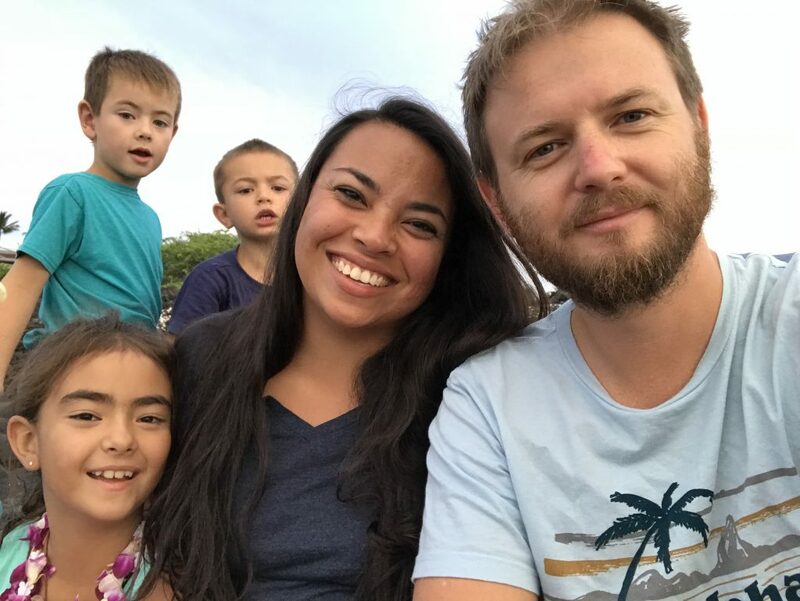 Ever since we started the vlogs, it seemed like updates on our blog were less necessary, but let me do a quick update of our time on the last of the Hawaiian islands and our return to Canada. The Big Island was to be the place we got to settled into Hawaiian life and to see how it would be to live here. 24 days on Kauai felt like a vacation and went by way too fast. 40 days on Oahu were so busy that we could barely settle in. 28 days on Maui gave us some time to spread out, but it went by super fast with all the diving we did to escape the many days of rain. 90 days on the Big Island of Hawaii gave us an opportunity to settle into our 2 bedroom, main level apartment, up on the mountain in Holualoa, and to become part of a church family (which was the family at Shorebreak Church in Kona) and to try to integrate ourselves into island living. This island is quite large in terms of Hawaiian islands. All other Hawaiian islands can fit in its landmass. It has the largest mountain, in terms of volume, on the planet, and has so many environments that you can be in the surf in the morning and making a snow angel on the mountain just hours later. Our time here was quite wet. They had more rain than usual and our location on the mountain side, at 1200 feet, made us a good target for precipitation. None the less, you only have to drive a few minutes before you end up in the burning sunshine, and we did this often to escape the rains. On the Big Island we got into a routine. We started to work out regularly, the kids had a more structured schedule for school work, we had community church group on Tuesdays, men’s and women’s meetings on Thursdays and church on Sunday. The rest of the time we filled with the things we wanted to do on the island, which included beach time at least twice a week if possible. We met some amazing people at our church and they welcomed us with open arms. They even babysat our kids so we can have time to ourselves, refusing any compensation in return. Their friendship was so greatly needed and well absorbed by our hearts. These new friends reminded us of those we left back at our home church in Canada. We knew that leaving here would be bitter sweet. During these months here we got to do a couple of bucket list items which included me climbing Mauna Kea, the highest peak in the pacific and also the highest mountain on the planet from the sea floor, Super cool! Also Cynthia got to swim with manta rays for the first time in her life. As a family we also got to see lava spewing out of a volcano for the first time with our own eyes. This was just days before the huge eruptions that make the news these days. I started to go to the movies again on this island; alone of course, since Cynthia stayed with the kids. It brought me back to a time when I was younger and would visit the theatre so often that I found myself without enough friends to satisfy this frequency. Going alone was comforting and I enjoyed the solitude. In Hawaii especially, the daytime showings are almost bare of patrons. It was on one of these visits that I realized that this no longer felt like a vacation of sorts, this felt like I was living in Hawaii. As our time on this island and Hawaii overall was coming to a close, we visited the beaches more often to satisfy our last attempts at sand and sun. This was just to pacify us as we knew the day was coming near when we would be trading palm trees for pine cones. I had a peace in my heart about it as I thought about the people back home and the things we loved about them. I was looking forward to my favourite stomping grounds as I had exhausted much of what Kona had to offer. When we left for the airport to return to Canada I soaked up as much of the sights and sounds and smells as I could. I did not know when we would return to Hawaii again. We thought that perhaps our time here would reveal more of Gods plan for us. We did feel like Hawaii wasn’t the place for us at this time, so back home we went with plans to continue travelling after a month long re-acclamation. After returning to Canada and being here a month, those plans have changed a bit. Our home church is coming into funds just as I write this. The building lot we own as a church, sold, and we feel that we should stay the summer to facilitate the renovations planned on the church building with these newly acquired funds. Our church family agrees and we have been given a new purpose for the summer. We look forward to putting ourselves to work helping to restore this little church. Our trailer will remain parked at the church parking lot, while we continue to stay at our pastors place for the next month before moving into a home that has been supplied for us during July and August. Although we still plan to travel west across Canada, the road will have to wait, for now. We have been wrestling with wether or not to document our travels on this journey with YouTube episodes from the very beginning. Due to the hardships we thought we may encounter day to day, we decided not to do it at first, and then revisit the idea at a later date. No, this is not a stage company, or a high quality brand of pots, or even an accounting firm. These are just a couple of the pastors that have helped shape our faith early in our walk.It’s normal to miss people who have grown your faith, but it’s not always common to keep in touch with them once you and they have moved on from that church. I, Luke, have known Dagmara for decades now. I remember being at a party and meeting her for the first time. My brother and her would date for a little while. We naturally got to know one another because she was always around. After they were no longer dating I wondered if our friendship would continue. My brother and her remained close so it was easy to keep in touch. When I was in high school, I met Shelley in our Drama class. We didn’t care much for each other until we were brought together to direct our final project for the semester. Let me put it kindly and say that we clashed. I liked Shelley as a person but our ideas conflicted. If this was going to develop into a long standing friendship that would last decades, then this was a strong test to put before it, right at its conception. As the project progressed we worked together and found common ground. That is the special thing about Shelley I noticed right away; not only does she care about you, but she tries to see your point of view. Of all my close friends through the years, Shelley is one that I didn’t always agree with and she didn’t always agree with me, but while those other relationships have disappeared, this one remains.